Come visit the ol’ Cool & Collected Trading Post! This week, the League of Extraordinary Bloggers is holding a virtual swap meet, and I looked around the cave to see what I could contribute. I’m not really looking to sell any of these items, I’d much rather see what could be obtained in a trade, so if you see something you want, and have something equally awesome to trade, hit me up in the comments or drop me an email! 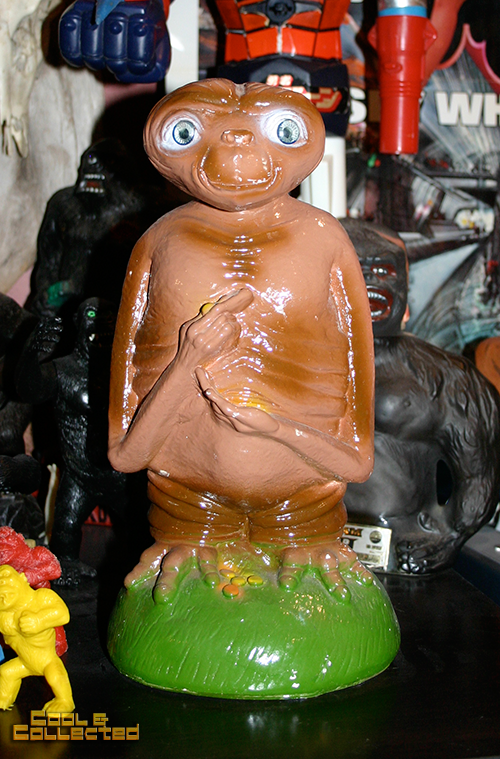 This awesome ceramic E.T. bank has creeped out my kids long enough, and it’s time for him to find a new home. I honestly don’t know much about this item (maybe it’s one of a kind!) but it is very, very cool and shiny (and somewhat creepy–those eyes!). This thing is pretty big, standing at over 16″ tall. 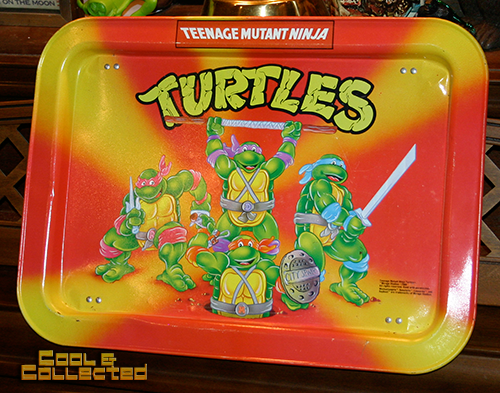 These two TV trays are great for holding your Cap’n Crunch during Saturday morning cartoon binges. 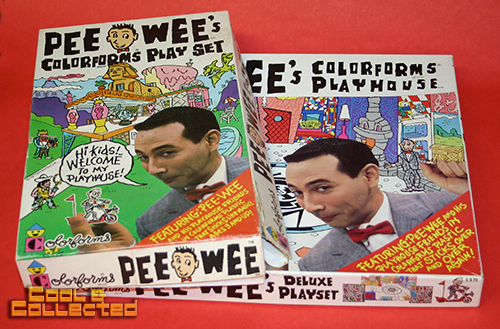 These Colorforms sets are only up for trade becasue they’re too big to fit on my shelves. The Thundercats set is complete (and AWESOME), and the large Pee Wee set is also complete, but the small box is empty and thrown in for the heck of it. 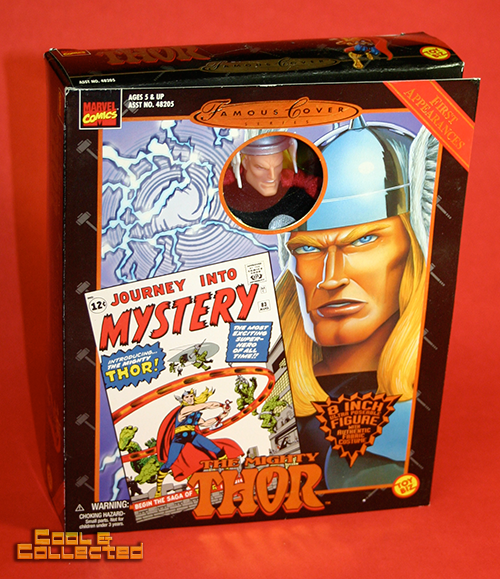 This Famous Covers Thor figure has never been freed from the box. So, like I said, if you want to make an offer for trade, let me know what you have! Other League members are also offering up items. Check out this Katniss doll, 1989 Batman toys, and others. 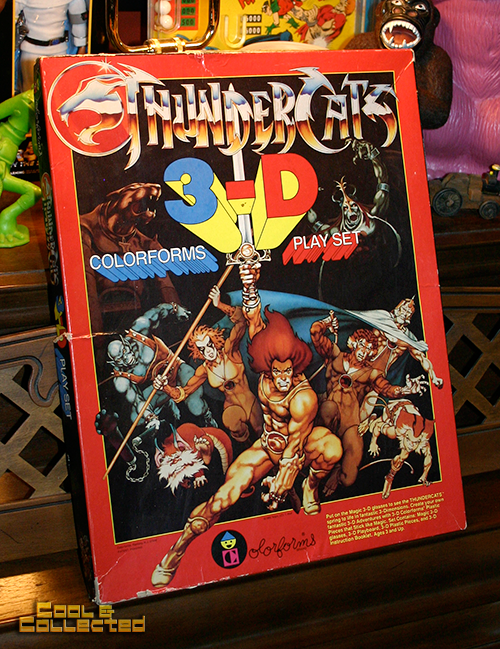 Man I want that colorforms thundercats thing. Don’t think I have anything good to trade right now though. I have many things to trade. Will be in touch. Maybe this could be an ongoing feature? I’m always up for a good trade! I really like that ET bank. He would go great with the ET lamp I posted about in my “Spacemen” assignment! It’s destiny! I also have a boxed E.T. alarm clock somewhere around here. I’d be up for a trade. Got any duplicate SP Batman or Superman figures??? Anything else? Sorry Brian, no Superman or Batman Super Powers I could part with (even though I have 16 unique versions between the two…lol) Those are my two favorite characters and I’m working on collecting all of their unique card types. It’s a labor of love I’m sure you’re familiar with! But I did dig up some other stuff. That lamp is AWESOME! I’m a sucker for E.T. stuff, though! I think I like Thor more than Katniss. Thanks though! 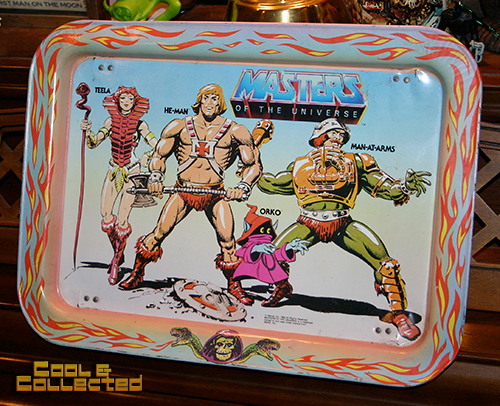 Argh want those TV trays but I dont have any decent trades at the moment! If they dont get traded let me know if I can buy em off you.